The most important factor that will compel consumers to choose one brand over the other is not the actual benefits of one, but the existing relationship they have with the brand and their perception of it. The most effective digital marketing strategy for FMCG brands is to consistently engage with their customers by reaching out to them through social media platforms. With consumers spending more time on social media than ever before, digital has been driving FMCG sales in India. The Google India Search Insights 2018 revealed that by 2020, $45 billion of FMCG sales in India will be influenced by the internet. Households who have internet access spend 2x more on FMCG products, making them very important for brands. But effective social media marketing goes deeper than merely posting a few updates. Here are the top social media trends that are taking the FMCG sector by storm. Customers don’t respond well to generalised messages. They want to feel like a brand truly understands their needs and is personally speaking to them. This is why brands need to communicate to their consumers as individuals and not as a homogenous group. Social media offers brands a number of ways to create personalised messaging strategies. Brands can target specific psychographic segments and developed specialised content for them. Retargeting allows brands to showcase products that consumers have already expressed interest in along with similar products. This offers customers a curated selection of products which can improve the quality of leads generated and increase conversion rates. The biggest advantage digital marketing has over traditional marketing is that it allows brands to have a two-way conversation with their customers. Doing this humanises a brand for consumers, which helps them develop a more meaningful relationship with it. For brands to encourage a conversation with their customers, they need to be active on relevant social media platforms and keep a close track of all brand mentions. Many times, consumers will specifically mention brands they are currently using or ones that they love. Responding to these consumers will help them feel closer to your brand and will encourage brand loyalty, which is crucial for the FMCG sector. However, not all mentions are positive. When your consumers have a negative experience with your brand, they are very likely to speak about it on social media. Ignoring these instances can do even greater harm for brands. Instead, brands can turn this into an opportunity to improve their brand image and retain customers. By responding to negative brand mentions, offering compensations or special goodies, FMCG brands can change perceptions and turn negative comments into an opportunity for relationship building. While personalising your marketing strategy is undoubtedly important, the challenge for brands is to do this while talking to thousands of customers. With rapid improvements in AI technology, chatbots have become one of the most popular tools for brands to interact with their customers. Chatbots can instantly respond to customer queries, gain information about them and even guide them towards making a purchase. In the realm of online shopping, chatbots can act as personal shoppers, helping customers finding products related to what they’re looking for and suggesting others that they might be interested in. With chatbots now available on Facebook Messenger, it has become easier than ever for brands to implement them on their pages. Instagram Stories are one of the most useful features brands need to take advantage of. While the concept of ‘ephemeral content’ first originated on Snapchat, Instagram Stories has quickly overtaken it to become the more popular medium for it. Staying active on Instagram Stories helps you engage more with your customers, tell your brand story in a creative way and promote your products. A key feature which makes Stories more valuable for brands than Snapchat is that it allows you to tag and link to pages. This can help FMCG brands drive traffic to their website or shop for products. Stories can also increase user engagement through polls, contests and user-generated content. Influencer marketing is one of the most powerful avenues for FMCG brands to explore in 2018 and beyond. It helps brands build credibility, widen their consumer base and even drive sales. A study by Nielsen found that 92% of consumers trust earned media (such as recommendations from influencers) over brand communications. By promoting your product through a network of relevant influencers, you can build awareness in a more organic way. When Himalaya launched their new facial wipes, they activated a large pool of influencers for their campaign #WipesOnTheGo. These fashion and lifestyle influencers posted extensively about the facial wipes on their social media channels. Bloggers also wrote reviews of the product so their followers could learn more about it. By using influencer marketing, Himalaya was able to build awareness of the product among their target audience in a very short period of time. A rise in disposable income along with the widespread penetration of affordable smartphones and mobile data have made consumers in tier 2 and 3 cities increasingly important for brands. While these cities have always been major markets for FMCG brands, especially those in the lower and middle segments, traditional marketing for these brands have always focused on traditional mediums like television and print. But as more of these audiences come online, brands will need to reach them through digital platforms as well. A Google and KPMG report found that almost 90% of rural users are more likely to respond to digital ads that are in their local language. Communicating with these users in the language they understand best also helps brands build trust. One of the best examples to illustrate how powerful bi-lingual content can be for FMCG brands is Kovai pazhamudir Nilayam. With almost all their marketing efforts targeted towards audiences in tier 2 and 2 cities and towns in India, Patanjali has made extensive use of regional content. This could be an important factor in their dominance of the Indian FMCG market. While brands have primarily used social media for brand building and awareness, the role of social media today extends far beyond that. FMCG brands can now use social media to directly drive sales. Reducing the amount of time and steps required for a consumer to purchase a product can motivate them to complete a purchase. In the traditional marketing process, consumers would gain brand awareness and recall through social media and then decide on whether to purchase the product at a later stage in an offline store. By making products easily available when promoting a product, brands can speed up a consumer’s decision-making process and compel them to actually make the purchase. Facebook has enabled brands to showcase products used in a video or post along with a link to where users can purchase it. When users click on the link, they are shown a description of the product along with an option to purchase it on the website. Instagram is also rolling out a new ‘Shop’ feature that can help users purchase products that are tagged just by clicking on them. Making your products easily available on digital platforms is crucial for a complete social media strategy. Videos aren’t just the future of marketing, they’re an important tool brands should start using immediately. For FMCG brands, in particular, video content could directly translate into sales. Surveys have shown that around 74% of users who had watched an explainer video about a certain product, eventually purchased it. Videos can be one of the best ways to help your audience understand your product better in a very short period of time. If you are selling your products online, creating videos is even more important. 57% of consumers have responded that they were more confident about purchasing a product online after watching a video about it. But it isn’t just explainer videos that convert. Videos with humour content perform extremely well on social media as they connect with consumers on a personal level. They also help you build a relationship with your audience that goes beyond just your product offerings. One of the best examples is On1y, a premium spice brand with a signature grinder to ensure you get maximum flavour. They chose to speak about their product USP in an unusual way and effectively use humour to capture the attention of their audience. Brands have for a long time kept a safe distance from social issues, for fear of alienating a large section of their consumer base. Doing so today, however, might not earn brands any benefits. Millennial consumers, in particular, are more likely to have a positive perception of a brand if it takes a stand on pressing social issues. According to a study by Sprout Social, around two-thirds of consumers want brands to voice out their opinions on social issues. Showing support for a social movement can help build a brand’s personality and help them form an emotional bond with their customers. While getting involved in political issues can still be tricky, there are many social and environmental issues that brand can and should take a stand on. But this doesn’t mean that brands should voice their opinion on every social issue that crops up. The key here is to ensure that your message is in line with your brand offerings and that it doesn’t seem opportunistic. Nothing can alienate consumers faster than a brand that appears to be using a social movement for profit. You don’t have to look further than Pepsi’s controversial video that trivialised social protests to understand how insensitive communication can backfire on a brand. If a customer’s relationship with your brand is on a purely transactional basis, then they are unlikely to develop any loyalty or emotional connection to your brand. These social media trends can help brands create a personalised, user-centric marketing strategy which will help create a lasting connection with consumers. In the last two years, Facebook has become immensely crucial for business owners. Small businesses, in particular, largely depend on Facebook for promotions and customer acquisition. However, as the number of businesses on Facebook increase, the total space available on the platform is diminishing. Organic reach on Facebook is at an all-time low, virtually eliminating the possibility of a customer becoming aware of your brand on Facebook without promotions. To compensate for the falling reach, Facebook has now redesigned their Business Pages. These pages will no longer be just a marketing tool, but a place for customers to gain actual utility from. Here are the top changes you can expect to see in your Business Page. Stressing on its commitment to providing audiences with greater utility, Facebook will now include use-specific options on a Business Page. A restaurant page, for example, will have an option for users to see the menu or make a reservation. A beauty salon could have a CTA to make an appointment on their page. To give audiences a more reliable idea of a business, Facebook is also going to showcase recommendations made by users on the Business Page. When users write reviews on the page, it will now be limited to 25 characters to improve clarity. Ephemeral content that contributed to Snapchat’s success has become immensely popular and a social media commandment brands swear by. Facebook has utilised this previously through Instagram and Facebook Stories. Now, Business Pages will also be able to use Facebook Stories to engage with their audience. This can be very useful for small businesses because it gives them an opportunity to promote their brand beyond just the NewsFeed. 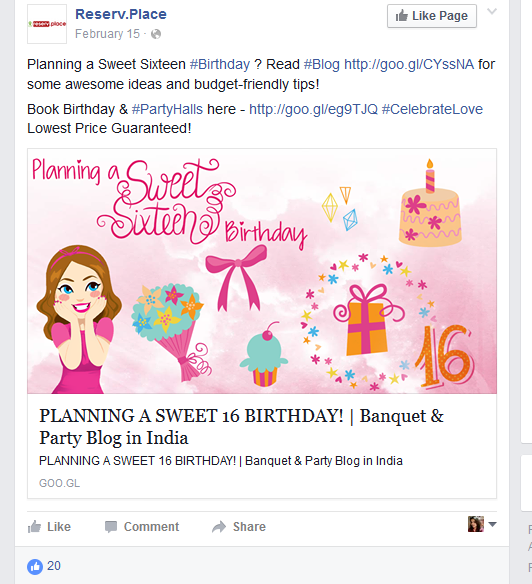 In what might be seen as a double-edged sword, Facebook will now also showcase related pages on a Business Page. For example, when users visit the Business Page of their local bakery, they will also be able to see pages of other bakeries nearby. On one hand, this feature can help small businesses become more discoverable. At the same time, however, it might also distract audiences and lead them to a competitor’s page. The exact implications of this update are yet to be seen. Facebook hasn’t traditionally been used as a job search platform in the way LinkedIn is, but that might soon change. A new job applications section will be introduced to help businesses with staffing. It can also be a new way to become more visible on Facebook. These updates will be very valuable for businesses competing for presence on a crowded News Feed. Apart from increasing reach, the updates will also help them have more meaningful interactions with their customers. To learn more about how Facebook can help your business, read about how we achieved 4x higher return via Facebook for Mahindra Lifespaces and how Casagrand generated a record 190 crores in revenue via Facebook. Working in the digital space, it is safe to say that the transitional nature of the Internet has kept us on our toes. Social media marketing trends that broke the Internet a few years back have been replaced by faster, better and more advanced concepts that have changed the way users engage with brands online. So, as we usher in the New Year and look back at what’s trending and what’s deteriorating on the internet, let’s promise ourselves to stick to the following five social media marketing commandments to optimally reach out to your target group and convert them to loyal customers. Gone are the days when social media was used as a mere platform to showcase your products or services. Brands are leveraging the power of social media to reach out and engage with India’s next billion Internet users. As per latest statistics, 89% of messages posted to brands on social media platforms go disregarded. This only means that brands are seeing social media platforms as a one-way street in which they feature their products and services but do not work on the feedback attained from the users. Apart from product reviews and feedback, 41% of online users tag their favourite brands on various social media handles while posting on the platform. According to a recent poll, a whopping 80% of users also religiously follow their brands for regular updates and notifications. With such a high rate of acknowledgement coming from the consumer side, companies are now focusing on customer engagement as the go-to solution for higher conversions. 2018 is going to witness a stupendous increase in engagement rates which is only going to lead to happy and content customers. Chat bots have taken the digital world by storm. Apart from addressing queries and triggering customer engagement, they also play a vital role in increasing the overall productivity of the organisation and generating leads. Facebook messenger chat bots are the banner men in the bot revolution with over a mind-boggling 100,000 bots being used online today. This number is only subjective to increase by the minute. There is no doubt that bots are the future of the digital industry as they are much quicker in clarifying customer complaints. They are also extremely useful in providing insights on the products and services offered by the organisations. Though chat bots are already a trend to catch up to in India, this futuristic concept is being replaced by an improvised version – the customizable chat bot. Brands are now focusing on making their bots as customised as possible with emphasis given to making the interaction personal and humanlike. Instagram Stories is the biggest social media trend of 2017 and is certainly going to continue its reign in 2018. Instagram introduced this “Snapchat-like” feature and slowed down the growth rate of Snapchat by 82% in a short span of time. Meanwhile, they even acquired a daily user base of 800 million, which is a phenomenal increase from the 600 million users registered a year ago. This trend only proves how impactful Instagram Stories are and how effective they can be when added to your social media marketing strategy. 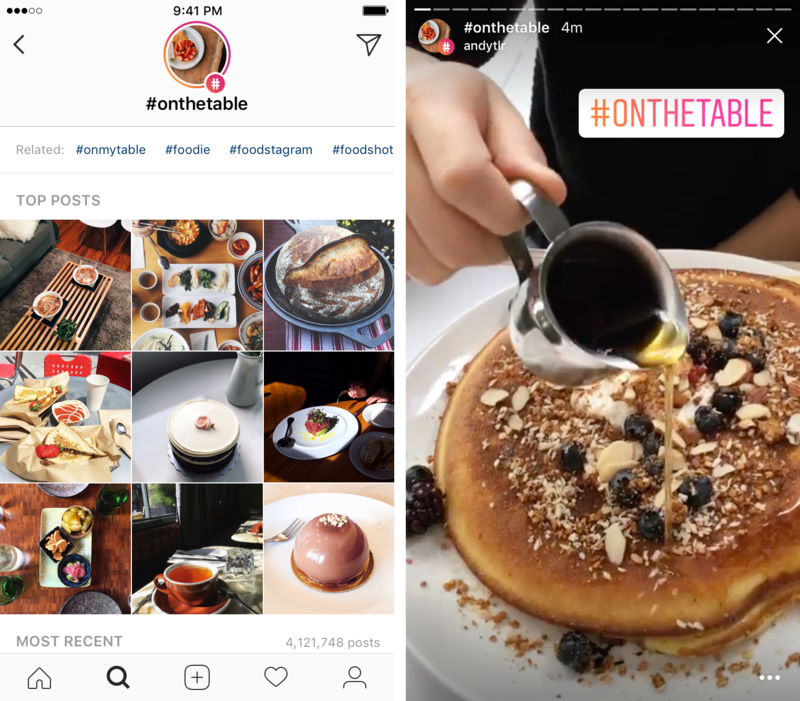 Brands are leveraging the reach of Instagram Stories to showcase their products. The ephemeral nature of this platform provides companies with the opportunity to get creative and feature their services in a trendy and youthful manner. Additionally, as per recent statistics, consumers reply with a direct message to at least 1 in 5 Instagram Stories put up by brands, hence providing profound customer engagement and bringing viewers one step closer to conversion. There is no doubt that videos are the most consumed type of content by internet users worldwide. From funny snippets to helpful tutorials, videos are changing the face of content marketing. However, according to a recent survey, 82% of consumers preferred watching their favourite brands in action rather than reading up about them, hence triggering the ground-breaking revolution of live streaming videos. The concept materialised in 2017 with exploding statistics paving the way for higher engagement in 2018, since both the parties – the brands and their followers – are comfortable with the phenomenon. Engaging with your customers by making them a part of your day-to-day brand-related activities is the main objective of live videos, so much that it is now a basic expectation from all companies active in the digital space. You can check out our guide to using Facebook Live effectively for more insights. We were all introduced to the concept of augmented reality through face filters brought to us by Snapchat. Social Media users worldwide went bonkers with those adorable puppy dog ear filters which were later introduced by Instagram along with their revolutionary Instagram Stories. This concept of augmented reality is going to take off in 2018 as more brands leverage the witty and youthful idea to market their brand. In 2017 alone, Instagram released more than 20 new features in the form of augmented reality. These features include contemporary filters, trendy stickers, season’s wishes and many more. These statistics are guaranteed to increase in 2018 proving the fact that brands can easily leverage this concept to produce more relatable social media content. These are few of the most effective social media trends to look out for in 2018 till they get replaced by their upgraded versions in 2019. Till then, it is time you add these innovative methods to your social media marketing strategy and take your business to towering heights. You can also check out our blogs on WhatsApp for Business and digital marketing for FMCG, real estate and Finance industry for a better understanding of the online space. Numbers always have a story to tell; they give the right push and guide the carefully designed and executed marketing strategies to greater success. Measuring the success of your social media marketing campaigns is the only way to know the effectiveness of the campaign. With more and more social media platforms mushrooming, it is essential to have a tool in place that will help you analyse the performance of your marketing strategy. Here are some of the top tools for advanced social media analytics. Their tools are beneficial if you are looking to analyse your data across multiple social media platforms. Amplifr is a one stop solution for all social media analytics, while also letting you schedule posts. Some of its exciting features include traffic and conversions analysis per post, Google Analytics integration and automatic UTM tagging. Amplifr also provides the analytics in real time. In addition to this, you can also keep track of what your competitor is doing. It is open to unlimited projects and unlimited users and allows retrospective analysis of the updates as well. Keyhole provides an in-depth analysis of a brand’s impact on Facebook, Twitter and Instagram. It tracks all the updates – hashtags, keywords and metrics in real time and calculates the reach, impression, high engagement period and the top shared posts. It also has an interesting feature called the influencer tab, which allows the use of the data to guide the influencer outreach. Brandwatch offers a range of tools that work across multiple social media platforms. It is considered one of the best tools for tracking your social presence. Apart from tracking, Brandwatch also lets you track your brand’s reputation in real time. Brandwatch also provides information on the internal and external environment within which, the business resides. From mining consumer insights to conducting market intelligence, Brandwatch provides the space and flexibility to make informed business decisions. As the name suggests, with Sumall you can attach unlimited social media handles across different platforms. The features include goal tracking, performance graphs and insights based on comparisons of the previous period. Depending on the users’ preference, SumAll sends out a weekly or monthly report containing a summary of all the information. This information is also saved on a single interactive web chart for easy viewing. Price: 7-day free trial following which it's $99 per month. A unique feature that stands out with AgoraPulse is that it can be used across multiple languages. It lets you manage all social media messages in one place. It tracks engagement across various social media channels and provides information on the number of mentions and measures how frequently they share your brand’s content. This helps in expanding the social reach and understanding the consumer’s perspective of the brand. Best of all, AgoraPulse allows the user to export the data as a PowerPoint file that can be customised to suit the user’s requirements. If you’re looking to see how you are doing compared to others in your field, then Quintly is the right tool for you. It provides visually appealing stats on engagement such as likes, shares, comments, followers ‘growth and they are depicted through graphs. These graphs provide information on the performance of your brand across various social media platforms. Quintly covers Facebook, LinkedIn, Instagram, Google+, Twitter and YouTube and it has a free tool for Facebook analytics, specifically. It works on a dashboard method, and the metrics can be customised to suit the user’s requirements. Unmetric not only helps you with accessing competitor’s performance and strategy, but also helps you identify who is on the top in the industry. The tool also allows you to understand and study what posts have worked and what haven’t. Additionally, it also gives social media benchmarking, content analysis, campaign analysis and social media data & analytics. Simplify 360 has different products like social listening, reporting and engagement. The social listening tool gives you the latest updates on your competitors as well as your social pages. Social analytics helps with competitor benchmarking. With the help of a publishing console, you can handle and manage accounts better under a single platform. Another unique feature is the social CRM that will help you manage your reputation. This tool has number of other features such as easy data access, social customer service, contact management, easy integration, and profile comparison along with customer satisfaction. Price: Custom pricing depending on the plan’s & needs. Sprout Social is an ideal tool to streamline and enhance conversations between the customer and business. Sprout Social has many handy features like Smart inbox, monitoring, social CRM, publishing, mobile, collaboration, analytics and account structure to make relationships and communication simple between businesses and customers. You can use this tool for all your social platforms such as Facebook, Instagram, Twitter, Google+ LinkedIn and much other. With real-time analytics, Meltwater lets you, monitor, track and measure the success of the social media campaign. Meltwater gives you relevant data and insights that will help you understand your target audience better. It’s a one stop shop for monitoring, analysing, engaging, discovering and also reviewing various case studies for your company and industry. Another significant feature is that you can also consolidate the entire social search under one roof and receive all the relevant news and data in real time. Price: Custom pricing depending on the needs. Buffer co-exists as scheduling and an analytical tool. What makes buffer a great tool is that it suggests the best times to publish your content suited to your target audience. Buffer has an interesting feature where it highlights the best performing post when a particular post exceeds average performance. It also allows the user to track and analyse performance across Facebook, Twitter, Google+ and LinkedIn. Similar to buffer, Hootsuite is a user-friendly cross-platform used for both scheduling and analytics tool. Hootsuite's real-time analytics keeps you ahead of the game and lets you spot trends as soon they pop up. Additionally, it also allows you to measure your social media ROI and make smart data-driven business decisions with confidence. Price Range: 30-day free trial – Individual plans to Organisational plans ranging from Rs.1260 to Rs.32000 per month. Which one of these tools would you use for your business? Let us know in the comment section below. What do you get when you add a dollop of creativity, a layer of great marketing strategies and an immense helping of team effort? Two delicious awards from, Social Samosa, a portal, which is known for providing Big Data Analysis and social media insights across all industries. We are proud to announce that we have won two ‘Best Social Media Brands’ awards for our Social Media Marketing efforts. We share the awards with our clients Murugappa Group (Gold Award under the B2B category) and Forum Vijaya Mall (Bronze Award under the Retail Category). Murugappa Group, a leading conglomerate in the B2B segment, has not just focused on their products. They are always looking to connect with the target audience while also subtly hinting at the brand’s various services. One of the key reasons the brand won the award is the engaging and highly educative content that they have been posting. This interactive and informative campaign educated people about how various industries such as bicycles, tea and finance to name a few, grew and developed over time. People were asked to view videos on each industry and were later quizzed on what they had seen. The response was almost instantaneous, with over 4 lakhs views and 2,000 quiz interactions. Murugappa has been closely associated with agriculture for over 4 decades and to pay a fitting tribute to the farmers’ tireless efforts, the company released a video on YouTube with the message “Thank You Farmers”. The video is both touching and informative and received an overwhelming response of 3.2 lakh views (on FB & YouTube) and over 1 million impressions for the entire campaign. The Forum Vijaya Mall is a product of the Prestige Group and one of the most celebrated malls in Chennai. The mall is buzzing with amusing activities and a host of popular local and international brand outlets. Most of the mall’s social media feed include updates on activities that are going to happen, live feeds on events and interactive posts. Forum used some of the latest Facebook tools such as Live poll and 360 videos and images to create engaging content, relevant to its target audience. In order to promote Palazzo Cinemas, Forum Vijaya Mall came up with a live poll campaign where they asked people to vote on their favourite popcorn flavour offered at the theatre. The reaction was great with 963 unique views and 251 post engagements. Forum Vijaya Mall geared up for one of their biggest events in spectacular social media marketing fashion. Everything from pre-event engagement to blogs to live press and video coverage was done, resulting in big numbers of reaches, likes and shares. Here is a happy news for all you Snapchat lovers! Snap.Inc has introduced this cool and fun pair of spectacles to help you shoot videos on the go. With Instagram now having the story feature, which is one of the major USP of Snapchat, snap decided to introduce a new hardware to stay ahead of the game. Although, the first time you hear it, it may sound like a replica of Google glass; the truth is, no it is not! The spectacles cost just one-third of the price of the Google Glass, and they look more like shades and are only used to shoot videos or photos. Experts say that you can compare them to a GoPro rather than google glass. This device is a pair of wayfarers, which has an inbuilt camera of 115degree lens. Two yellow circles can be found at each end of the glasses: one is the camera, and the other hides a ring of LEDs that light up when the device is recording. These glasses are paired with your Snapchat and the video recorded on this will automatically get stored in the Snapchat memories. They are available in three colours - black, teal and coral and are priced at $130 each. Every spectacle comes with a recharging case, USB cable for the case and a glass cleaning cloth. Spectacles are compatible with both Android and IOS devices. To pair, wear the glasses and open the Snapchat app on your phone, click on the ghost icon and press the button on the top left corner of the specs. Now the device is paired, and all set to record. Press the button on the top left a corner of the specs. A small LED light will switch on to indicate that video is being recorded. The spectacles will record a 10-second video if you want additional recording time then press the button again to add extra 10 seconds. The longest video one can record is 30 seconds. The videos are recorded in a circular format. The snaps are saved to your Snapchat memories automatically. In case, you do not have your phone with you then; the spectacles will store the snaps and later it can be transferred to your phone either via wifi or via Bluetooth for IOS devices. To charge your spectacles just place it in the case, which comes with the device or you can also directly charge it using the USB cable. However, experts in the tech space recommended using the case to charge. Usually, the charge stays for a whole day or two. These are currently available only in the US. If you are visiting the US or asking your friend to buy it for you here is where you can find it. Snap inc. is selling them through a bright yellow vending machine, don’t mistake it for a minion although it looks like one! These are called Snapbots that will travel around the country. You will be lucky if you spot one around your neighbourhood. Snap is making them in a very limited quantity. The Snapbots will be available at each location for a day. You can also track the bots current location using the map on the spectacles website. Snap also gives you the facility to try on the glasses before deciding to buy them. All you need to do is use the QR code provided on the website and scan it to add a filter to Snapchat, which is for a limited time to try them on virtually. Just like Snapchat, the spectacles can also be leveraged for your business. Here is how…. Although Snapchat shares the same feature, the plus point about shooting on spectacles is that you can shoot the video while working on anything. Whether it is unboxing a product or a demo of a product, use this device and give your fans a complete walkthrough of it. (literally). Esquire Network a TV network used spectacles to promote their show by shooting a 90-second video. Another great way to leverage this is by shooting behind the scenes videos, which can give your followers a feel of getting a unique or an exclusive pass to the event. Spectacles can be used to promote any location or space. Feature a ride, coffee shop, your apartment, office space, etc. using this device and make your audience feel like they are a part of the scene. If you are planning to sell a property or an apartment, this is an innovative way to advertise. Your target audience can get a complete view of the property. Now, you can ask your clients, to give a live feedback about your product or a service. You can also create a story on your Snapchat account and ask people to add their reviews on there. This can be an excellent way to promote your brand. While Indians scurry around exchanging their notes, Americans stand in shock and awe over the result of their votes. Donald Trump emerged victorious on Tuesday as America's President-elect, leaving a rather uncomfortable feeling on the rest of the world. It's only a matter of time before the dust settles and reality bites, as "The Donald," as he is fondly known, takes office. Many may call his campaign one of the most controversial to date, but they just can't deny that it has proven to be highly effective on his road to victory. Trump's landslide victory came as result of his smart use of social media, a platform he has praised since winning. Marketers could take a leaf out of his book on how to implement strategies and work action plans to ensure the best results on minimum expenditure. His campaign is a great example of ROI driven digital marketing, where he spent virtually nothing while making the most out of free publicity. Have your mind blown over the review in numbers on Trump’s campaign! While the use of social media for a political advantage is not new, considering how well Obama fared during his campaign, Trump’s win is a testament to why it has become so important in daily life. Let’s have a look at the various tactics Trump employed on his campaign. Everyone knows, a politician's biggest lie is when he is trying to convince everyone he's telling the truth. But what happens when a politician comes out with an open mike in hand, and effortlessly speaks his mind to the people. We've seen that with Modi on his public rally's and Trump took centre stage on the best platform to express oneself- social media. Forget the fact-checking, Trump's sometimes outlandish claims added a perspective of thought amongst his ever-growing flower base. Here's an example of that, one which Trump posted 24 hours ahead of election day. Even Obama had to admit, in his last hilarious speech as president, that Hillary's attempt to bond with the public on social media failed miserably. Trump, on the other hand, having prior expertise with social media norms thanks to his entrepreneurial background, modified his approach to fit political standards while still using social media jargon and youth slang that could connect well with his followers. His use of hashtags and constant responses to queries from his supporters leveraged success to his campaign. You've already noticed that we're referencing most of Trump's campaign with his Twitter feeds, that's because he practically owned the microblogging giant over the past few months of his rigorous campaigning. Nothing makes free press feel any better than having the power to deconstruct your opponents within 140 characters. His infamous hashtag #CrookedHillary and attack on the existing government emphasise his no-holds-barred approach to social media. One method that has become increasingly important on social media today is the way brands interact with consumers. Engaging with an online audience makes for conversion rates to increase, turning them into potential buyers of the product. In the case of the Trump Brand, Trump knew what he represents and had a decent idea on what his audience expect, opening the floodgates to thousands of interactions per tweet. Trump was able to achieve an incredible response on election day, all thanks to the effort he put in and the ease of reach through social media. His formula for success should be familiar with adept digital marketers, but if you are till keen on maximizing those efforts and using the full potential of social media, here's what you have to do, the Donald Way. Trump's slogan, "Let's Make America Great Again," is a powerful example of brand positioning strategies. In just five words, he sums up what he is all about and more importantly, what America wants the most, the return of those glorious days. Digital marketers know that brand positioning is the first of many key factors that can make a campaign run successfully. While Clinton's slogan, "Stronger Together," invokes an action, it doesn't have a definitive goal. Your brand positioning must reflect the entire process of your campaign, and give consumers a meaningful reason to interact with you on social media. Trump's entire campaign was emotion driven. He appealed to the audience by telling them what they wanted to hear. Constantly rubbing the existing governing systems in the mud and hitting out on policies the public themselves have protested against over the years. He also narrowed down his target audience to the majority race in America, slashing out on the minorities through the early stages of his campaign. This method built his fan following in quicker rates and gave him the image of an all-American common man, which touched the hearts and minds of millions in the USA. Hillary's and most of the Democrat Party's campaign focused on benefiting the rich 1 percent of America. They left behind their blue-collar Democrats and ignored a vast majority of the American demographic. Trump did the exact opposite; his campaign appealed to existing voters as well as ignited passion in first-time voters. He even managed to pocket the blue-collar Democrats and win the vote of almost all Republicans. Trump's campaign is a good example of effective customer management, where he was able to retain old voters and garner the support of new voters. Everyone knows that advertisements are bloated with exaggerated claims and over-the-top promises, but if that doesn't keep consumers interested, what else will? Trump's campaign was splattered with colorful promises and rather comical goals, but it played well with his audience as it clearly was a fantasy in their heads already. On the post-purchase point-of-view, every customer wants his money's worth, so it's only a matter of time before Trump's true colors come shining out. Trump carried himself very well throughout his campaign; never backing down from a potential war of words and staying true to the image he had created over the years as an established business tycoon. Trump portrayed himself as an all-American American, winning over the public with his celebrity stylized presentation and tough-guy demeanor. It was very much like the Modi one-man-show which gave Americans the confidence to vote for "The Donald." Trump carried over this personality on every form of media he used, thus managing to cement his image in the hearts and minds of the public. Just have a look at this speech he made at one of his best rallies ever. In typical businessman fashion, Trump knew that he could never achieve perfection without a little trial-and-error. If you've been following his campaign closely, you'll notice how he carefully shifts his marketing strategies from one perspective to another; beginning by attacking the opposition with harsh, over-the-top judgments to slowly letting go of the hominem insults and placing focus on talking about a better America. Trump also balanced his mediums of delivery smartly, telling people what they wanted to hear at the exact moment they wished to hear it, all the while constantly drilling into the consumer's mind, his underlying message of a greater American future. The Trump Brand is the shiniest new thing popping straight out of the realms of Social Media. Polished and ready to be grasped by the consumer's hands, it's only a matter of time before the brand's USP comes into full play and hopefully deliver its promises. You may also find it interesting to read how social media was used by Indian politicians in the 2014 elections. A picture speaks a thousand words, a phrase that we are all familiar with. Snapchat, a social media messaging app proves this phrase right. Similar to Instagram, Snapchat allows users to share pictures and videos for a set amount of time with friends after which the picture self-destructs. It was launched by Evan Spiegal and Bobby Murphy in the year 2011. It is widely popular amongst the teens and young adults and this trend is starting to gain momentum amongst the other generations as well. At Social Media Week’s around the world, Snapchat has become an increasingly discussed topic. The Snapchat app is available on both google play and app store. Begin by downloading this app. Once you have downloaded the next step is to sign up. Set up your account by entering your email, a username, and a password. However, it is advisable to choose a good username since Snapchat unlike other apps, does not allow you to change your user name once you set it. Account settings: Adjust your privacy settings. To do this, click on the ghost icon above on the screen. This will lead you to the settings tab in which you can choose who can view your snaps and stories. Profile picture: Snapchat lets you set an animated profile picture. Tap on the ghost icon on the top of your screen and click on your snapcode and then upload a picture of your brand. Now that you are all set, it's time to connect with your friends. To add a new friend, click on the ghost icon and then say add friends, this lets you add customers or brand well-wishers either from your address book or by username or snapcode. You can also add fans by location. To share a snap with your fans, open the camera and click on the circle button present on the screen below. You can also shoot a video for which you would have to press and hold the button a little longer. You can also enhance the snap by adding filters, texts and images on it. The latest Snapchat version offers you a variety of lenses that are fun to experiment with. To use this, click and press on the screen, this would allow it to capture the shape of your face. Once this is done different lenses appear and you can choose and try different ones by scrolling left. After you are done, you can send the snap by tapping the arrow in the bottom left side of the screen. A snap story can be viewed by everyone on your friends/fans list. You can add multiple snaps and videos and this stays for twenty-four hours. Follow the same steps as creating a snap, except instead of choosing few people to send it to, you need to choose ‘my story’ to post this. This feature on the app allows you to video chat with your fans. To start a video chat, click on the video button present below the chat tab. This can be an interesting way to showcase a new product launch or to talk about a new/interesting development with your brand. Snapchat has different emojis next to your contacts to denote the different levels of friendships which is based on your snap chat activity. Be careful while using this for your brand as these emojis also need to represent the tone of not just your brand but the message being amplified. If your business is hosting or a part of an event, use this app to cover all the live happenings at the event. This way your audience members will be able to view your event live, no matter where they are. Take your fans behind the scenes. This is a great way to engage with your audience and get them excited. Capture some fun moments at work, like celebration or team lunch, etc. Experiment by using all the features of this app. This gives the users a different experience from what they would get from other social media platforms which in turn will make them want to engage with your brand on this platform. Once the users get a glimpse of what is going on behind the scenes it will make them feel that they are a part of an overall process. Just like other social platforms like twitter and Facebook, you can host fun and exciting contests on Snapchat. You can use this medium to provide the promo code for a sale that is happening in your store or website. This is a part of the shopping trend and seemed to have worked well with a few of the brands. In today’s world, influencer marketing is one of the popular ways to reach a wide target audience. Tie up with influencers that have a high Snapchat score and a good number of followers on other social media platforms as well. Influencers who are avid Snapchat users will know ways to make the content even more interesting by using all the features of the app. Disney world hired Mike Platco who’s personal account gets close to 120,000 views per snap, as an influencer when they launched their Snapchat account. Mike is a great story teller as well as an artist and he utilized these skills of his on his snaps around the theme park. Launching a new product? Create a buzz around it and get your fans excited and geared up for your product launch. Give them a sneak- peek or a preview of the new product. Apart from product launch, many brands make use of this platform to give a demo of their products. Burberry leveraged this medium to feature their new collection before the actual show early this year. This way the brand was able to increase the engagement with its fans by getting them geared up and excited for the actual show. Create and add Geo filters for your brand. Sponsored geo filters work well for many brands. Since this lets you add your logo or anything specific onto the filters. Sponsored lense is another interesting way to engage the audience. This helps in terms of branding as well. Beats, the famous headphones company used the sponsored lense to promote their black Friday sale. Users were able to add the lense over their photo to create funny videos in which the user’s eyes would get wide and their heads would move back and forth. If you are not using Instagram or snapchat for your business, you are missing out on something! So go ahead and start exploring ways to leverage this platform. How can brands market themselves in the digital age? This was when the television commercial and its production was the high point of months of research, mapping, positioning and creative options. Print and outdoor media supported the core TV effort, while promotions drove an increase in sales through value offer to encourage brand switch and sampling by new users. It was always about using mass media to build brand image, and influence the audience to buy a brand based on promised benefits and lifestyle cues. Digital marketing is, in a sense, permission marketing. How would you like it if a brand manager came in and put up a poster on your living room wall? Yet, when we advertise on Facebook, that is what we are doing in a sense! Their ‘walls’ belong to the users, not Facebook, not you. So if you’re going to be there, then you better reward them in some way: with a great story, with humour, with new information, with emotion or a new idea - commonly known as content marketing. It not only has to be worth their while to view, it must earn that place on their wall. And if it does, they will, in turn, share it on their friends’ walls like it was their own. One example is this video by the BBC on Vincent Van Gogh’s birthday. It is no longer about just pushing out information on a brand or product and building its image based on benefits and lifestyle cues. It’s about engaging with audiences and starting conversations. In the nineties, as the Internet spread and broadband began to proliferate, BMW was doing a big push into the US market which was then dominated by Mercedes. But BMW did not have the financial strength and budgets that Mercedes had on conventional media. The spread of broadband was an opportunity that BMW capitalized on with the famous BMW films. Only, instead of commercials on mass media, they produced short films by well-known directors starring Clive Owen and other stars based on the storyline. Central to each film and a star in its own right was, of course, a BMW: BMW Star and BMW Ticker. In all, some ten films were produced over a three-year period and went viral quickly. The viewers it was aimed at, a younger, highly successful, independent thinking audience as compared to the older Benz traditionalists, owned the films and shared them widely with their peers. The result was electric, with BMW’s sales in the US surging without having to spend on mass media. In the days of conventional marketing, it was all about the message. Consumer research threw up problem statements and provided insights, based on which, brands were tweaked. Then came the all important messaging based on the problem that was being addressed. At all times, the communication was from the brand to its audience; one to many; a one way communication. Creativity played an important role as audiences were being bombarded with thousands of messages a day, from when they awoke to when they went to sleep. The power of an idea is what got the brand past the filter of the mind through relevance and originality-enough to get their attention. Still, it was one more message that they absorbed, with the outcome still in doubt! With the Internet, everything changed. Ideas are still important, as is creativity, to reward the audience for viewing the message and provoking them to engage with the brand. This starts a conversation, and the beginning of building a relationship with the audience that relates to the brand based on the idea. The idea must reward the reader or viewer in some way: either through humour, or by giving them information of value they were unaware of, or by simply capturing their imagination in a sociable way. Like this Nike ad which uses Messi as a role model. Large media houses do not own the Internet, its users do. They not only ‘own’ it, they initiate its use according to their convenience. Their use of the Internet, depending on time of day and context, can be to consume the news, network with friends, send emails, work or entertain themselves. A single medium serves to satisfy all their needs depending on time or context. A good marketer knows what kind of message to reach to them, when and in what context, always keeping in mind that the message must earn its place on their walls with relevance and reward them. Done well, it will gain their ‘ownership’, so they share it with their friends. Social recruiting is one of the latest recruitment methods in the industry. Recruitment has seen a 360-degree shift in the way how employers connect with potential candidates. Professional recruiters and employers have moved away from traditional methods like newspaper ads to newer techniques and are using social media channels for talent acquisition. Social recruiting is the latest trend where recruiters use social media channels to source and recruit candidates instead of direct sourcing or job boards. Today social recruiting is not just a novelty, it’s a must have for any successful recruitment strategy. Below are 9 essential tips to keep in mind for your social recruiting strategy. The importance of content marketing has grown significantly over the last few years. Content marketers are constantly focusing on creating content that would be suitable for prospective clients/customers. However, one target segment that most marketers tend to overlook is prospective employees. Various content marketing techniques can be used to attract and engage with potential employees. Even if the company is not hiring at the moment, it is considered ideal to create content that would appeal to prospective employees. So, in the future when you need to hire someone, you are already on your prospective employees’ radar. Below are a few other ways in which you can leverage the power of content marketing as a part of your social recruiting strategy. Create content around the work culture of the organization. Facebook’s substantial talent pool along with its numerous ad types and thousands of possible ad targeting parameters, make it the perfect platform for companies to find and engage with potential employees. An easy way to do this would be to create a job advertisement for the open position and target the relevant audience segment in order to reach qualified candidates. Facebook allows you to target people based on multiple criteria’s so you can filter and reach only those who are the right fit. To begin with, the simplest way is to target people based on their age, gender, and location. For more advanced options, you can decide to show your ad only to people of a certain education level, field of study and colleges that they have graduated from. For an example if you are looking to hire an MBA from a premium B-school for a managerial role then you can choose to deliver your ad only to those who would be the right match. When it comes to talent acquisition it helps to be where all the people are and there are over 23 million registered Twitter accounts in India. Twitter is considered an open social network, and it is very easy to use Twitter to connect and build relationships with relevant active users. It is essential to ensure that you engage with the people from your target talent pool and that they follow you on Twitter. If you don’t have these relevant followers and you tweet about a job opportunity then it is highly unlikely that you will see any good results out of this activity. An effective way to do this is to search for these people and follow them. So, how do we search and find people on twitter? A useful but rarely used feature of twitter is the advanced search. It is the simplest way to look for people by keywords or cities they live in. Search for relevant hashtags and see who are the people using it or alternatively you could pick a trending topic that is relevant to your industry to see who is talking about it and follow them. Once you find a few appropriate people you can see if they are part of any lists and then you can find other people on that list who are likely to have similar interests. Third Party Tools such as followerwonk, a Moz app helps you search twitter bios. This could be an ideal way to search for potential candidates as most people would have their industry/designation details along with other interests or passions mentioned in the bio. Another interesting and simple way is to use search engines like Google/Bing to literally X-Ray twitter for the information you need. For example, if you are looking to connect with SQL Developers you can go to Google and type site:twitter.com chennai sql~develop –jobs and you will find relevant accounts on twitter with those keywords in the city specified by you. You can use Twitter Advanced Search to listen in on relevant conversations and engage with the right audience. You can also save the searches in order to be able to continuously monitor the specific keywords. Tools like Hootsuite are very useful to listen and monitor any conversations that you feel are relevant to your business. This can help you curate content you are interested in, find people, discover content and much more. Also, you can use tools like IFTTT, which can help automate the monitoring and listening process. Twitter ads can be intimidating for those of you who are trying it for the first time. Read our Complete Guide to Twitter Ads and see how your brand can leverage twitter ads, in order to help your social recruiting strategy. Interaction on Twitter is by and large seen as less intrusive, when compared to other forms of traditional communication (emails, phone, text) as well as other social networks. This means that recruiters can not only reach out to, but can also easily be very social with potential employees before the formal hiring process begins. The recruiting process is constantly evolving and it is essential to stay ahead of the game. However, LinkedIn still remains the top social recruiting tool. With the changing face of the recruitment industry, LinkedIn is a must-have for every recruitment team. LinkedIn groups and sponsored job postings are the most common and effective ways of attracting the right talent. There are other paid LinkedIn options, which include plans specifically designed keeping in mind, the needs of a recruiter. For an example, Talent Finder lets you access every single profile be it 2nd degree or 3rd degree connections. You have access to premium search filters with the focus on industry, company, years of experience etc. Some candidates with a certain technical skill set may not be very active on social media and hence it becomes difficult for recruiters to reach out to these candidates. In such a case, it is advisable to send E-mailers for specific job openings to a relevant database, which can help garner an excellent response. It is essential to ensure that you have a remarkable subject line that can cut through the clutter and entice a candidate into reading more. It is okay to experiment a bit until you find the tone and style that is best suited for your brand. It is recommended to constantly A/B test to optimize, and measure key metrics like open rate, click through rate etc. Mention all essential details about the position and clearly specify what action the candidate needs to take if he or she would be interested to apply for the position. We could redirect the users to our social media channels or LinkedIn job posting from the e-mailer in order to take the next step in the hiring process. In order to have a successful new-age recruiting strategy, a well built and descriptive career page is absolutely necessary. A career page does not have to be necessarily fancy but it must highlight the value proposition. The page should explain the key benefits of working with your company and why candidates must choose you over any other company. An essential thing, over and above all of these is to ensure your careers page is mobile optimized and the process of applying to an open position is as easy and short as possible. A company’s talent brand is nothing but how their vision and corporate culture are perceived on various social media platforms. This plays an important and immense role in not just reducing the cost of hiring for a company but also its ability to attract top quality candidates. Google, for an example, does a great job when it comes to talent branding. They look like the best place to work and that has become one of their biggest assets in their hiring process. Keep in mind, that it is essential that your company’s image, in words, photos, and videos, is consistent across Twitter, Facebook, Instagram, Pinterest and all other social media platforms. There is nothing more powerful than your own employees speaking about the company and its work culture when it comes to attracting and hiring the best talent. Creating content that goes viral is a difficult task and it is essential to learn how you can multiply your reach. For example, if you have 1000 employees and say 60% of them share your social media content with their followers and each of them has an average of 400 followers then you have just reached 240,000 more people. Yes, there might be common connections but even if you have reached two-thirds of this number then it is a notable reach. Encouraging employees to follow and share your content on social media is an essential step and you can definitely see positive results out of this simple activity and increase your social media reach significantly. Read more on 100X social media reach by turning your employees into brand ambassadors. According to a survey by Monster, more than 65% of candidates tend to consider an opportunity for a new job role if they happened to come across such information from existing employees on social media channels. So this is a complete win-win situation and has a positive impact on your social recruiting process. Instagram is the secret to catching the attention of passive candidates by telling them a great visual story about your brand and also showcase what it is like to work with you. The stories could focus on things that potential candidates would desire in their prospective employer. On Instagram, the trick is to give users a glimpse into a space that they would otherwise have no access to. In this way, brand awareness is created and an employer can reach out to both current job seekers as well as passive candidates. India’s Silicon Valley, Bangalore boasts of over 1700 startups and is considered as the world’s second fastest growing startup ecosystem. The city has some of the most successful and funded startups such as Flipkart and Urban Ladder. So what makes these startups so successful? Startups are leveraging digital marketing effectively and marketing themselves on a shoe-string budget to drive brand awareness and sales. Here is a look at some of the innovative social media campaigns by funded startups in Bangalore. Flipkart is one of India’s largest ecommerce portals to buy a wide range of products including electronics, books, clothing and accessories. Flipkart, known for its innovative social media campaigns, came up with a campaign to create a buzz around the revamped mobile application and increase new users. They came up with a hashtag #DoThumbThing. The idea of this campaign was - people use their thumb to do almost all their activities on their phone, so now use the power of your thumb to shop for anything on your app. Convenient shopping now at your fingertips. #DoThumbThing with the Flipkart Mobile App! The campaign worked so well that the app on the Play store got a rating of over 4.3 with installs in the range of 10 Million to 50 Million. Zivame.com is a leading website to buy lingerie with over 2000 lingerie styles to choose from. Zivame.com last year ran a #‎SalesmanWaliBracampaign for all the victims of bra shopping tragedy where women have been forced to buy lingerie from sales men who are not competent. Zivame.com - the lingerie expert asked their women followers on social media to share their various horror and awkward stories. The quirky visuals, gifs and campaign hashtag coined by Zivame created a buzz on all platforms and created a good brand recall for Zivame. Urban Ladder is an online furniture and home décor company with presence in 12 cities across India. Late last year, the brand created a stir on social media by creating a short film “The Homecoming” to celebrate the essence of family. This short but impactful film was created with a core objective of creating brand awareness among its target audience. The film showcases a couple taking a decision to move into their son’s home. The beauty of this film is that it is a simple concept that strikes a chord with the common man and has a fundamental message that beautiful homes are not just made from fancy furniture but emotions and thoughts play an important role. The video garnered ~900K views on YouTube and has been shared on social media platforms widely. Ola is one of India’s most popular cab booking app. It is the also the largest platform with 40,000+ cars across 22 cities and growing! Ola has come up with many innovative campaigns and one of the most popular campaigns they did was the #ChaloNiklo campaign. The brand leveraged Twitter & Facebook by posting engaging photo ads and video ads featuring content of its #ChaloNiklo campaign. The Twitter Contest helped them create a buzz around the hashtag. Ola also directed people to its website with link ads in the News Feed and right column, and ran mobile app ads to drive people directly to its mobile app. Another interesting campaign that the brand ran was the #TypesOfFans social media campaign during IPL season 5. The campaign offered a drivers’ view of the different types of cricket fans that they get to travel with during IPL season 5. They made a video dedicating it to crazy cricket fans and the amusing behavior that they display. They also conducted a contest on Twitter, where the brand was able to get entries from cricket fans and engage with them. Styletag.com is an online curated fashion and lifestyle startup. Fashion brand Styetag launched a powerful campaign titled “Face of Courage” and the firm hired acid attack survivor Laxmi Agarwal to model its ‘Viva n Diva' collection. Apart from this, the brand also announced that they would donate 30% of its revenue from this initiative to Agarwal and the Chhanv Foundation, which supports acid attack survivors. "This initiative directly associates us with issues of importance," said founder Sanjay Shroff, "thereby making us more recognizable to our clientele, the women of India." The campaign did well on social media and the brand got recognition with a lot of stories, both online and offline. Chumbak sells designer t-shirts, tins, coffee mugs and other quirky Indian products. Chumbak launched #bobbymissing campaign to promote the opening of their New Delhi store to create a buzz and engage with their customers and fans on social media. They used a character from their popular Bobble Heads collection and constantly updated their pages with candid images announcing the spotting of the missing Bobble Head Bobby in various big events and cities, which got them good traction on social media. The campaign ended with Bobby finally making an appearance thus introducing their Delhi store. Think we have missed out something? Let us know by leaving a comment! Why Social Media matters for Search Engine Optimisation? Social media and SEO are two interlinked strategies as both are organic driven and is dependent on fresh content appealing to the viewers. There is no direct mention by Google that increase in social media followers will directly improve the rankings for a specific set of reason. However,Google always insists on quality links and content rather than the quantity of shares and links. This article will be a guiding tool to realise how social media matters the most for SEO in a very specific technical context in contrast to other articles available online to show how all these strategies work in real time to improve the search rankings. As per Google patent: Document ranking based on document classification, 17 July 2012, we find that Google has invented algorithms to determine dwell times, which is a term used by Google to determine the engagement rate of the visitors to your website. This means that the time spent by visitors on your website must grow from first time to the second time and so on. Otherwise, Google will assume that your content is becoming stale. How do you do this? Of course,social media is going to play a vital role in improving your dwell times by constantly posting external inbound links to the content of your website. But the most important hidden factor, which Google is trying to tell here, is that growing the number of followers in social media alone is not going to work out. To satisfy the criteria of dwell times, there must be quality followers who really want to follow your content. Otherwise, even though you have 10,000 followers your search ranking is not going to improve. Facebook and Twitter are the best platforms to increase your dwell times due to their popularity and the presence of huge user database.It is a good idea to post quality content onyour website,Facebook and twitter pages. Posting atleast two quality blogs per week and publicising the blog in your social media pages will gain you more organic leads and catch the eyes of Google. Another method to improve the number of quality followers can be to announce special offers in social media space. Contests, games and gifts attract the most and hence brands have resorted to this method as the next criteria for attracting visitors. Hence it is recommended to organise regular interesting contests and announce winners in social media and make a leader board of frequent visitors in your page to gain more visibility. As per Google patent: Document scoring based on link based criteria, 27 August 2013 we find that earning links is going to be an important strategy for SEO. But the earning must be steady and not altogether. For instance, Google algorithm does not count the aggregate backlinks but counts your backlink earnings over time. If you have a content published today and the number of backlinks is more this week than the upcoming weeks, then it is not considered fresh by Google. Fresh backlinks are something, which has steady demandeven after months after the date of sharing. Although Facebook and Twitter platforms too help you score back links, the presence of the most recent option in the news feed and the limitation in number of friends who can view your posts will restrict the back links score. Quora and YouTube are the ideal platforms for this.For example, Quora is going to help you gain back links even after months from the date of posting. The reason behind this is people visit Quora for their queries and if you can manage to give quality answers with appropriate backlinks, then there are high chances for your content being visible even after a month or year. The same is in the case for blogs and YouTube videos. 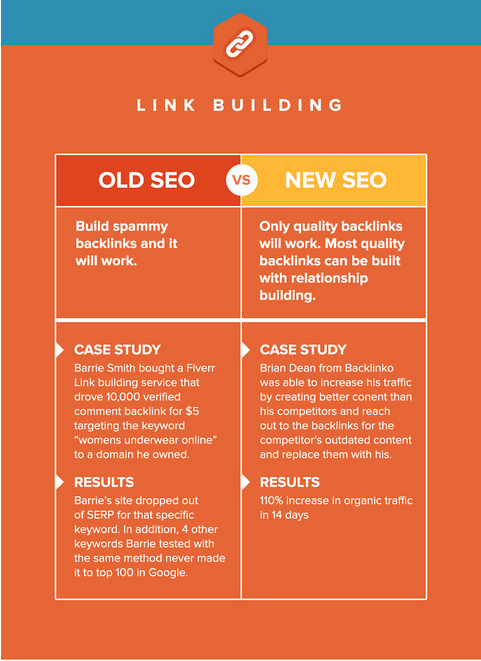 Let us look into how backlinks in Quora works as a SEO strategy. A person searching for answers for best credit cards in Quora not only has answers of various options but also tends to come across back links to the websites. When they click the links, the organic traffic to the website increases and becomes a basis for free lead generation. People do not view social media as a sharing platform alone anymore. It acts as a search engine too. For example, if someone wants to know more about a company or a person then they look into Facebook and Twitter activities as well apart from doing just a Google search. This way the organic searches in these platforms present a pool of opportunities for companies to capture and improve their visibility in digital space. As a result of this, Facebook and Twitter pages/YouTube videos too appear in search engine results! 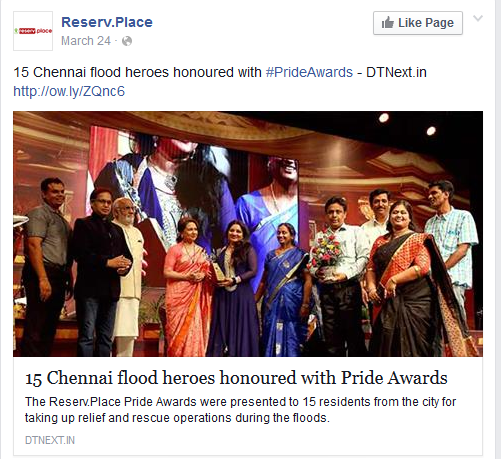 Google crawls through social media pages too for the content posted. Google claims that every Tweet/Facebook share/comments are content for them rather than features and hence they are able to crawl. Similarly if a Facebook or Twitter page appears in search results then it means that it is solely for the content in that particular page. Hence companies with optimised high quality social media pages are found to earn greater benefits from social media accounts in Google SERPs. For example when you type Coca Cola in the google search, you can find the links to social media pages in the search results. This is a clear indication that social media pages too matter in Google search. What does research and experts say? Very recently an infographic released by quick sprout caught the attention of many digital marketers. The survey report clearly reveals that social media marketing is definitely one of the factors for the new SEO strategy with 50% of the companies saying that social media marketing and SEO are somewhat integrated. 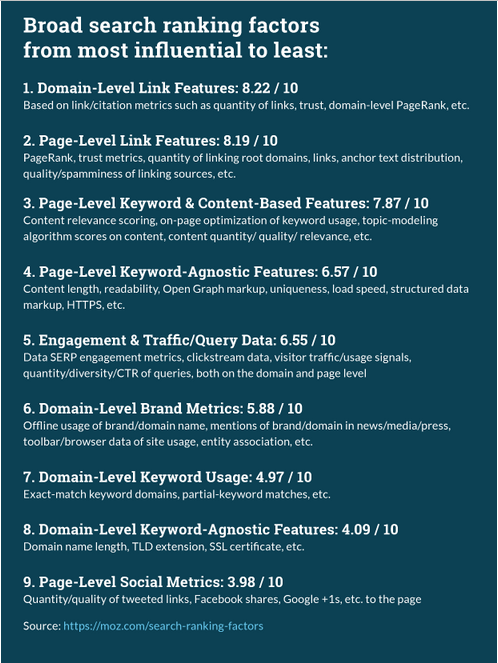 However,Moz released a report on Search Engine Ranking factors 2015 which says otherwise. 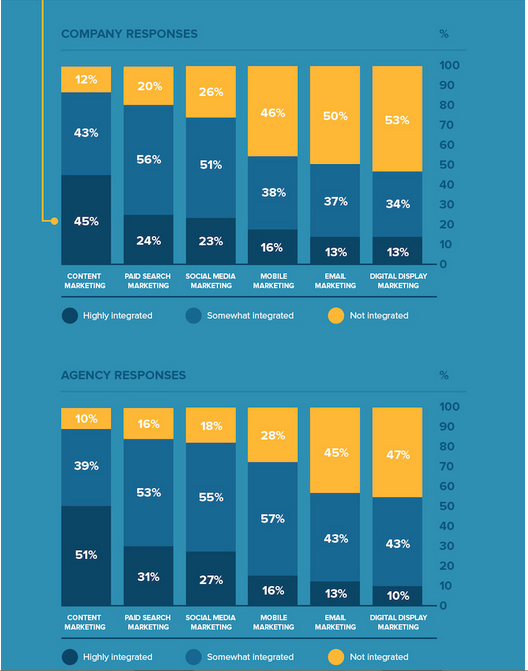 According to the report,social media is still less influential from SEO point of view. However engagement rate and content still being in one of the top factors can be indirectly related to social media. Hence we can expect that high quality content and engagement rate in social media will continue to give signals to Google. How each platform impacts the search ranking? The research by search metrics shows that signals from Facebook are high for the brands in Top 10 ranks of Google search and maintains a positive correlation. From the below graph we can see that there is a distinct difference between top 5 and the rest. We can also see that there is a drastic fall after rank 1, which means that top rank guy is distinct in the way he handles Facebook as a medium to drive traffic as compared to the one in second place and hence he continues to dominate. The number of tweets and retweets too has a positive correlation with SEO strategy.However in 2016, the percentage has decreased and hence the down arrow. But twitter signals do matter in determining Google search rank positions. Compared to other social media platforms, Pinterest has increased across all rank positions in the year 2016 and is expected to increase even in the years to come. This tells us that almost all the rank positions are having more or less similar strategies using Pinterest and the one who is going to come up with a different way of using Pinterest will have high chances in sending dominating signal to Google. 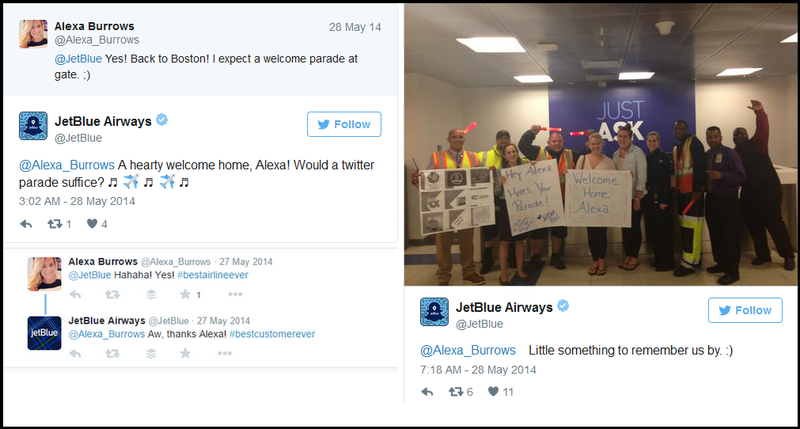 So how do we leverage social media signals effectively for search? From the above observations, we can see that social media does send signals to Google, although it is not a direct SEO strategy just like a Television. In television, good quality interesting program high attention, number of viewers increases with the buzz and finally gets high rating and people mark these channels as most viewed. Similarly quality contents and videos in social media send signals to Google with increasing views and Google ranks in their search engine accordingly. Thus we can call social media as a broadcasting platform. Here are 5 essentials you must definitely do to leverage various social mediachannels. 5. Update latest events happening in the company to get local attention and increase local searches for brand awareness, which may ultimately be a signal to SEO. This tells us the number of replies or comments, which we get from the audience for a particular post. Amplification rate is the rate at which your content is shared regularly on different social media platforms. For twitter it is calculated by number of retweets, on Facebook or Google+it is the number of shares. On YouTube, the number of share clicks per video gives us the amplification rate. As the word indicates, it gives us the extent of appreciation for our post.It is nothing but the number of likes on Facebook/Twitter/Youtube and +1s in Google+. Tools such as Facebook business manager, Google analytics and Twitter analytics have inbuilt analytics to find out the number of leads from a particular campaign.It also gives the total cost spent for the selected time period so that you can calculate the cost per lead from a particular campaign and compensate the price accordingly in the upcoming sales. If all the above metrics are good, then search engine rank is also found to be higher for a particular page. Target audience: Includes location, demography, behaviour, new vs returning visitors, mobile conversion % etc. Acquisition: Takes into account the different channels, SEO landing pages from where organic traffic is maximum, campaign data like number of sessions etc. Behavior details: Includes the page views, traffic, pagewise speed data etc. Conversions:Include location based conversions, product based conversions, platform based conversions etc. Using Google Webmaster tools, one can determine the top pages under a particular search category and can plan out new content campaigns accordingly. You can also get an insight on which content gets more visibility and search engine conversions by viewing the destination pages displayed in the SERPs. There are various link manager tools like raven link manager, which guide you to build possible referral links in your social media posts for building more traffic. Not only that, they automatically send you a report on the links, which get converted for smarter traffic building and better SEO. Buzz sumo is one of the most important content marketing tools that has the ability to identify what content is doing well in your field of interest. Also this application gives you details of top bloggers and influencers who you can leverage for making social media campaigns effective. Moz is a tool that gives you details such as page rank, number of active visitors and the traffic to your website. Moz rank of 41 or above is considered to be good as per industrial standards. On the whole, although social media is considered as a weak strategy by experts like Moz and there is no direct mention by Google, it is always an important area from SEO perspective. We recommend marketers who have not yet realised the importance of an active presence in social media platforms to pull up their socks, keeping in mind the above mentioned facts. Building a successful marketing strategy for your business depends on choosing the right marketing mix and implementing plans that drive results. According to a recent study, marketers are expected to further increase their marketing spends this year, of which digital might consume up to 35% of their overall budgets. With digital marketing gaining more importance, it becomes inevitable for brands to think beyond Facebook & Twitter and explore new opportunities. Pinterest is one of the fastest growing digital platforms with more than hundred million monthly active users, currently. This popular social bookmarking or photo sharing website allows users to create, discover and save media content related to their favorite topics, interests or hobbies. Thus giving brands, the perfect platform to curate relevant content and amplify it to reach the desired audience. Pinterest along with platforms like Instagram, Snapchat & Periscope are going to be growth drivers in 2016 so try them out to stay ahead of the curve. Have you ever enjoyed window shopping at a mall or maintained a scrapbook with clippings and articles you love or find useful? Pinterest works on a similar model where users can find, share and pin (read as ‘save’) visual content pertaining to a wide range of topics and interests. It allows users to create 'pinboards', organized based on themes / topics where the pinned items get saved. Launched in 2010, Pinterest was summarized to be a 'catalogue of ideas' for people looking for inspiration. Be it a DIY project, a chocolate cake recipe or a wedding gown inspiration - wide range of visually appealing content is sourced or uploaded by users all over the web. They have also recently launched their advertising platform, which can enable promoted pins & boards. Big or small, businesses can use this highly visual medium to showcase expertise and disseminate content to reach a wider audience. In order to build a strong customer base and eventually some loyalty, brands can market their products and drive traffic to their website. With the growing user base and average time spent on this platform, Pinterest seems to have become the new favorite for marketers around the world. In order to get started on this platform, sign-up for the business account that provides exclusive features to help you grow and monitor results. Business name, category, website and bio are all you need to create your presence on Pinterest. It provides analytics, rich pins and advertising in terms of promoted pins which are not available otherwise. In case you already have a personal account for your business with good fan-following and referral traffic, Pinterest allows you to convert it into a business account without losing any data. Visuals are the most powerful medium for brands to capture the attention of its target audience and communicate better. Good and compelling visual elements tend to perform better for brands and result in higher engagement. Retail brands should showcase relevant, high quality and vertical images of their products for users to like, repin or follow your account for more. Even brands with intangible products or services can benefit from Pinterest with the right content and strategy in place. Businesses that belong to healthcare, finance, education and other sectors can creatively modify their existing content into visual elements or share new content that is relevant to their business and target audience. It is ideal to start with 8-10 boards with content categories that are relevant to your audience and business. Instead of just promoting your own products and speaking the brand language, look for relevant keywords or topics that are most searched by your target audience. Curate content based on user interests and create boards for broad themes & categories. With Pinterest being the second largest social network to drive referral traffic, make sure you pin images, videos or infographics with links to your website. These backlinks can be included in the descriptive copy or photo caption for higher click through rates. You can see the profile of one our clients, Gehna over here. In order to be easily discoverable as a brand and engage with your audience, repin relevant content across Pinterest and create group boards. This enables brands to invite bloggers or influencers to contribute to different themes and ideas. It also helps in building a community and interacting through contests, theme boards or by liking / commenting on their repins & personal collections. As Jeff Bullas mentions in his article, Shopify users referred by Pinterest, spend an average of $80 compared to Facebook referral of $40. Use the right keywords & hashtags in your descriptions & image titles to get noticed and gain more traction. In order to create quality backlinks and visits to your social media handles, add these links to your profile and individual pins that will drive traffic. Much like other platforms, local businesses can tag their location to pins and profiles to reach relevant audience on Pinterest. You can also see some of our other link building techniques tips here. Pinterest is a great platform to discover new products, as it caters to a wide range of categories such as fashion, home décor, art, food, gadgets, travel, etc. Marketers can add a 'Pin' button to their products on the site to make it easier for visitors to share it across. For e-commerce players or businesses that sell online – these pin buttons can help in generating more sales and traffic. Is Pinterest soon to be a part of your digital marketing mix? Or stepping up your existing Pinterest marketing game? Let us know about your experience so far in the ‘Comments’ section. Got good content up on your website but not sure how to promote it? You’ve landed on the right page to find out the answers. Websites that help internet users to search, store or manage content they are interested in and share it across networks. These social bookmarks are created using tags, categories or custom keywords and are usually public, allowing all members of the site to access it. How do they help brands? Brands and content marketers can leverage on social bookmarking websites to build brand awareness and promote their content. These sites help brands or users share articles, blogs, images or videos, in order to drive relevant traffic into their site. Delicious is the world's largest social bookmarking service that lets users to save, organise and discover links on the web. The interface is quite simple and lets users build a collection of links, thereby creating their own personal search engine. One can also browse for interesting content shared by their friends or trending topics around the web. Getting listed on Delicious can certainly improve the page ranking & drive more traffic, provided the content is great. A popular micro-blogging platform and a social network with huge traffic volumes globally. It that allows users to create any content in the form of short-blogs with relevant tags, enabling other users interested in similar topics to easily find it. A photo sharing website with more than 100 million active users. It allows users to create theme-based picture collections called 'boards' and helps discover, save or find what interests them. This site is best known for its referral traffic and image categories such as infographics, guides, tutorials and DIYs have a higher click-through-rate. A discovery engine that finds and recommends web content to its users. Majority of StumbeUpon users are there to look for unique or creative content personalized based on their interests or peer group recommendations. With over 30 million registered users, this site provides high quality backlinks and lets users like, rate or share web pages. A well-known social bookmarking website where users can submit links to blogs, images or videos and its position on the Reddit page will be determined by votes from other users. A text heavy website that covers a wide range of popular topics and organised by areas of interest called 'subreddits'. With over 1 million registered users, Scoop.it is a popular social bookmarking tool that caters to professionals, businesses and corporations. One can publish or curate unique content based on interests, keywords and share it with others in a visually appealing way. This user-friendly social bookmarking service lets its signed-up users bookmark web pages for a later use, annotate files as they browse and share it with friends or colleagues. It helps in easy indexing of shared content on Google and drives good amount of traffic into the site. An open source, social news service that allows users to create content, seed links to external content and participate in discussions. Most-voted content pieces appear in the home page and usually belong to popular topics like news, politics, business, art and technology. The site has over 40 million unique visitors a month, a Google page rank of 7 and high quality PR backlinks from related sites. HubPages is a social content community where users share content, pictures, videos or pose questions to find answers. It is also a revenue-sharing website where authors can create original, quality content about various topics & earn via Google AdSense or other commission-based vehicles. Creating unique content articles or 'hubs' regularly can help brands in indexing pages more quickly and generating targeted traffic into the site. Visual.ly is a community platform exclusively for data visualization and infographics. It is also a marketplace for publishers and researchers looking for images using keywords and category tags. Brands can create a profile and publish interesting insights & infographics that will drive relevant traffic into their site. It not only allows the users to share it across social media platforms, but also provides an analytics tool to measure the overall content reach. Typepad is one of the oldest blogging platforms with built-in tools for customization and additional features like mobile blogging, multiple author support & photo album creation. This online publishing tool is a paid service that comes in four different subscription levels. One can also promote their content within the site and measure performance through their comprehensive stats tracking. A bookmarking website that lets users to store all their favourite links at one place, which can be accessed from anywhere. These bookmarks are created using labels or tags and can be shared with anyone. This world's largest social networking site also serves as a content sharing platform with large numbers of referral traffic every single day. Facebook also captures latest trends, news articles and topics of discussions using keyword searches. Thus, brands can take timely measures on generating relevant content on Facebook, which might bring in more shares or page impressions. Yet another social sharing site with millions of active users worldwide, generating 500 million tweets every day. Fresh and interesting content can help brands gain followers on profiles, lists and also monitor user interaction levels in terms of retweets, replies and likes. Owned by Google, this social networking site allows users to share content, images or videos across circles, communities or interest-based groups called 'collections'. Social bookmarking sites allow users to easily find content around topics they are interested in, store or share it with like-minded individuals. 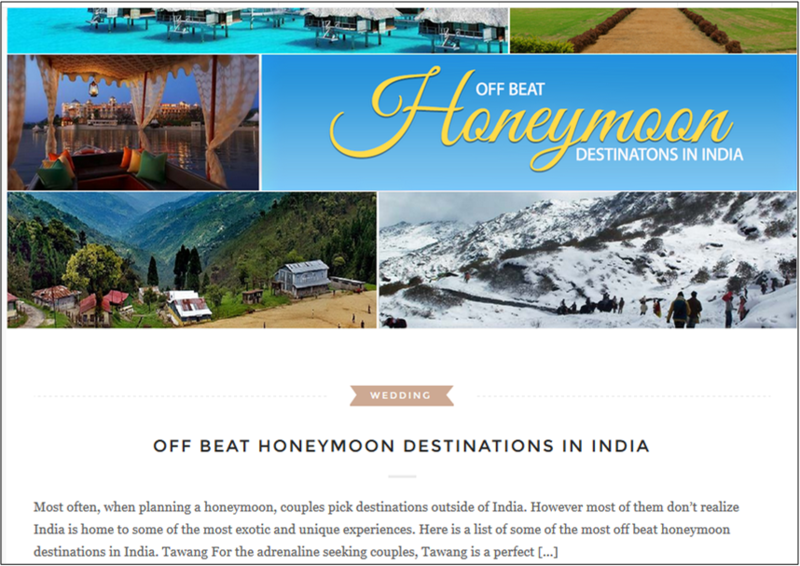 Thus, brands should capitalise on websites such as these, to amplify content and drive more targeted traffic into their site. Do you currently use any of the above-mentioned websites for your brand? Or have more sites to add to this list? Share it with us in the ‘Comment’s section below. For more tips and insights on SEO / content marketing techniques, watch this space. Social media is a powerful tool for businesses and helps them stay connected to, and build a strong relationship with, their target audience. The best part of social media is that it's not just limited to one-way brand communication – it allows customers to get in touch with and interact with brands as well, giving brands (who are active listeners on social media) invaluable customer feedback, which they can plug back into their products and services to build better consumer experiences. However, this two-way communication, if not managed properly can be more of a bane than a boon and can end up causing considerable damage to the brand's reputation. Research shows that 74% of consumers rely on social networks to guide purchase decisions. Also, BrightLocal's Local Consumer Review Survey 2014 says that 85% of consumers read up to 10 online reviews before they can trust a brand. Hence the effectiveness with which you manage your comments could have a great impact on your business. Here’s a detailed guide to social media comments management – monitoring, responding and managing comments on your social media profiles. Since the guide is a little over 3000-word beast, we’ve split it into sections to make it easier for you to navigate and read through. Google alerts is a free tool to monitor mentions of your brand anywhere on the web. You can setup alerts for various queries – your brand name, competitors, industry specific keywords etc. and Google Alerts will send you emails notifying you whenever any of these keywords you specified was mentioned online. You can even set the frequency of notifications to get notifications for every mention, or as a daily or weekly digest. These are paid tools and are best suited for SMEs and mid-sized businesses. Mention allows you to monitor in real-time any mentions of your brand not just on social networks but anywhere on the web. Like Hootsuite, it also allows you to connect your social accounts (Twitter, Facebook, etc.) to your alerts and react instantly from within the application itself. Mention has some interesting setup features which allow you to include specific keyword matches and also exclude keywords that may be irrelevant to your brand. This helps get rid of the noise coming from homonyms and spam. Another interesting feature is that it also flags comments from Twitter or Facebook users who are influential so you can take them up on priority. Brandwatch is a social media listening and analytics solution that helps you discover the conversations around your brand on the web and turn data insights into actionable business decisions. Meltwater is a media monitoring and media intelligence platform used by big global companies like HSBC, HP and Nike. It monitors your media content from all over the web, scans billions of conversations and helps you filter out what’s relevant and important, with meaningful metrics. It also helps you get to the right audience by finding and building relationships with key influencers. Deleting a genuine negative comment (trolls are an exception) is never a good thing to do on social media as it straightaway raises questions on the brand’s integrity. It may also stoke the customer’s anger and frustration and cause him to post a flurry of negative comments on various platforms, which may eventually boil over into an uncontrollable crisis-like situation. There are also good chances that the comment may have already been seen and possibly even saved as a screenshot by other customers. It is best to respond as quickly as possible to negative comments. Irate customers generally lack patience and expect quick resolution of issues. Undue delays could only make matters worse. The ideal time could vary from up to 24 hours for sectors such as real estate to 30 minutes for sectors such as ecommerce. Always begin the comment with a polite and courteous apology. This gives the brand a human face and also shows any other readers that the brand does not shy away from accepting errors when they do happen that once in a while. Sometimes, frustrated customers may not give all the info that may be required to help sort out the issue. In such cases, it is best to politely request them for the info and, where possible, also tell them why this info is required to help quickly resolve the issue. If there is a genuine reason for the issue, do not hesitate to communicate the same to the customer. However, ensure that the explanation is succinct and to the point. Irate customers are definitely not in the frame of mind to read stories. Also, ensure that the tone doesn’t seem like the brand is giving an excuse for the error. Lying about a fact or trying to hide facts is the worst mistake a brand can make. In the social world, lies get caught quickly and can cause the issue to snowball into a bigger one. Being honest on the other hand strengthens the brand reputation and builds trust, especially when the comment thread is viewed by other users. One of the best ways to quickly turn an unhappy customer to a happy one is to offer an incentive. For ecommerce businesses, for example, this could be a coupon code for their next purchase, a reduction in price on the current one or even a complete waiver of the cost, where the situation seems appropriate. It may be prudent to take the conversation private in some cases. This could be either because of platform limitations, such as the 140 character limit on twitter or cases where the situation demands that the issue be taken out of the spotlight. However, in such cases, once the issue is resolved in private, it is a best practice to close the issue on the social media comment thread as well, so other users know that the brand has responded and sorted out the issue. Irritated customers may get emotional and be downright rude, but it is imperative that you, as a brand representative, must keep your cool, not take things personally and reply with an absolutely calm state of mind. Always ensure that the comment thread has been updated once the issue is resolved, so that the same is visible to other customers glancing through the thread, while in the process of making a purchase decision. On a closing note, each case of a negative comment would be different and would require a different handling of the situation. It is important that the team handling social media response management is trained to be able to judge correctly and rightly use their discretion in dealing with customer issues. Thankfully the two-way communication on social media is not only about negative comments. There are happy customers out there as well who are so overjoyed by your product or service that they revert with positive feedback of their experience.It is just as important, if not more, to reply to these positive comments, as it is to reply to negative comments. This could help turn those fans into loyal brand evangelists which could work wonders for your business. Canned template-like responses, like a standard “Thank you for feedback. We really appreciate your effort”, take away the brand’s human side and do not build a relationship with the customer. These are best avoided. The response to every positive review must be personalized – addressing the customer by their name is a bare minimum. The more personalized the response is the more elated the customer would feel and this increases the chances of not only turning them into loyal customers but also evangelists for the brand. Always encourage your customers to come back and bring their friends along as well. This helps build a long-term relationship with them. If the comment or review mentions names of staff the customer was particularly impressed with, do mention that you will relay the feedback to staff member concerned. And do actually relay the feedback – you will make the staff member’s day as well! Where applicable, it might make sense to request the customer to leave a review on other platforms as well. For example, for the hospitality sector this could be Zomato or TripAdvisor while for local businesses, it could be a review on the Google Local Business page. Positive customer feedback can be showcased as testimonials on your website as well as promoted across your social media channels. This is the best way to leverage these reviews and make the most of them to help build consumer trust in your brand. The world is filled with different kinds of people and so is the social universe. You will invariably come across that one-off customer who just wants to create an issue where none honestly exists, or who is plain interested in causing trouble.It is best to verify their claims first and once it is confirmed that they are baseless, the best response strategy would be to ignore the troll, as engaging in conversation with them would only encourage them to troll further – these are people who generally enjoy the attention they get this way. The comment could be deleted at a later point in time, once the troll has moved elsewhere to seek attention. On occasions though, at the discretion of the team in charge of managing social media comments, it may be appropriate to craft a tactical response to silence the troll and put him in place by stating the inaccuracies in his facts. This helps maintain transparency and may deter other trolls as well. Although auto-responders can help manage social media comments at scale and reduce the response time by a huge margin, when they go wrong they can go wrong terribly. Though automated response management tools are getting better at analyzing comments and responding appropriately, they still can’t make sense of things the way humans do. They can’t add a human touch to the response either. The ideal response time would vary from industry to industry - ranging from about 24 hours for industries like real estate to 15-30 minutes for sectors such as ecommerce. The average time to resolution is the time taken from the opening of a comment thread to the time the issue is resolved and the thread is closed. This will depend on the type and gravity of the issue and may vary from a few hours to a few days or even weeks in some cases. In these cases, it is important to keep the customer constantly updated on the progress. This is the total number of interactions it takes to resolve the issue. This number should ideally be one. However, this is seldom the case and the average tends to be a lot of higher. Use, where required, one of the tools listed below to manage comments and mentions at scale. If you do not have an in-house team for managing comments and you don’t want to take the trouble of hiring and training, you can always explore the option of outsourcing this to an agency specialized in social media or in customer response management. The agency would normally listen for mentions and respond to comments and consult you for any customer response information they may need from your end. They would also normally send you reports covering response metrics to evaluate your performance as well as sentiment metrics to evaluate how people feel about your brand. For big brands, especially in sectors such as ecommerce, where customer engagement is high, the number of mentions, comments and reviews across channels and platforms may become difficult to keep track of, and reply to, without a software solution in place.Thankfully, there are quite a few online customer support softwares and help-desk solutions to help you streamline your social media response management process and keep your customers happy. Here’s a list of the 5 best customer support softwares you could choose from. All of them offer a free trial - so you can try a couple of them that you think would work best for you and evaluate which one you could go ahead with. The cheapest paid plan starts at USD 30/month, billed annually. Founded in 2007, Zendesk is probably the largest cloud-based customer service platform available with over 50,000 companies as clients. It can be integrated with most content management systems, customer relationship management tools, and web apps – the number of apps that can be integrated with its API exceeds 300. Founded in 2010, Freshdesk has scaled up quickly to become a major player in the space, with over 40,000 customers. Apart from being able to be integrated with 70+ popular applications, Freshdesk is also tightly integrated with Google Apps including Analytics, Contacts, Calendar, Hangouts, Drive, and Gmail. These enable a slew of additional capabilities including the ability to schedule customer calls, attach large files to tickets, and much more. Freshdesk is the only tool on this list that offers a freemium solution – with a free forever plan for up to 3 agents. Founded back in 2001, Kayako was one of the original pioneers of the multichannel helpdesk and the first to bring the helpdesk to the cloud. Apart from its cloud-based customer support solution, Kayako also offers a downloadable on-premise, self-hosted solution for Windows users. The base plan starts at USD 24/month, billed annually. Happyfox is not as big a company as the ones listed above, but it is quite popular for its absolute ease of setup and no-nonsense user interface. The cheapest paid plan starts at USD 19/agent/month, billed annually. Is there anything else about managing comments on social media that you'd like to know or have any questions on? Do reach out to us in the comments below. Have any experiences to share? We'd love to hear from you! 1 day to go. Finally, it's the FIFA World Cup time. Undoubtedly, one of the biggest sporting extravaganza on earth, it keeps the chatter going every time a Fifa WC is round the corner. But this time, it’s going to be more special. Thanks to the “Global Stadium”, which will allow the billions of soccer fans to stay updated real-time with all the excitement around. The Global Stadium is an aggregator of all content surrounding the 64 matches in real time; also offering the chance to vote for the man of the match & win the actual kick-off balls used in each match in Brazil. Apart from a unique hashtag for each game, FIFA will be using the following hashtags: #WorldCup & #JoinIn. The entire site has been redone to give the fans a better user experience, especially the mobile users. The social media presence of FIFA World Cup has racked up over 20 million likes on Facebook & 1 million followers on Twitter. It would be interesting to keep a tab on these figures at the end of the tournament. It would not be surprising to see a multi-fold increase as the tournament unfolds. When FIFA is going digital, how can the real stars be far behind. The fan base of these superstars have reinforced the "Big-bang theory" or how else do you explain the mind-boggling number of fans on social media, with the Portuguese star Cristiano Ronaldo leading the pack. Here is a snapshot of how the megastars stack up in the digital world. What does this hold for the marketers? Seeing the amount of engagement generated by the IPL this year, it offers an unprecedented opportunity to tap-in & will be interesting to watch how different brands leverage on this mega opportunity.